Are you searching for a wood burning stove and live in the Skipton area? Skipton lies close to the junction of the A65 road (from Leeds to the Lake District) and the A59 from York to Liverpool. The Skipton bypass allows access to our showroom. We at the Leeds Stove Centre, pride ourselves on offering the largest variety of wood burning stoves to our customers. We stock a vast range of designs and styles including traditional and modern styled stoves. Our traditional stoves look brilliant in small cottages, farmhouses and old traditional properties. Our range of stoves also extends to modern and contemporary styles which look fantastic in new builds, apartments, barn conversions and modern homes. Our brands include Dik Guerts, Hunter, Stovax, Yeoman and Parkray. Not only do wood burning stoves offer a brilliant focal point, but they also produce an eco-friendly way to heat a home or environment, saving you money. Despite the differences in their design, you will find that there is often little or no disparity in the heat outputs and efficiency levels of a wood burning stove when compared to that of a multi-fuel equivalent. It is also worth noting that both types of stove incorporate innovations in heating technology such as Airwash and Cleanburn, from which the majority of modern wood burning and multi-fuel stoves benefit. The Leeds Stove Centre has a modern showroom, with live working displays of wood burning stoves to help you decide on a stove the best suits your requirements. It’s also a good way to find out how much heat is produced from the stoves, and ask any questions of our experienced retail staff. At Leeds Stove Centre we want to provide you with the highest quality stove possible. 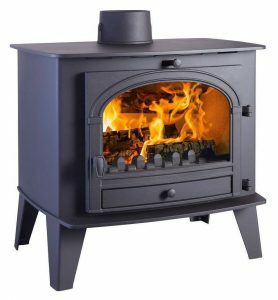 Therefore, we only stock wood burning stoves from reputable manufacturers, ensuring that you have the best quality stove at the best possible price. With different brands, comes different styles, accessories and finishes, so there is plenty of choices available. We are also able to install your wood burning stove with our in-house installation service. Our HETAS registered installers can professionally install your stove ensuring compliance to current building regulations. They can also install flexible and twinwall flue systems. If you would like to arrange a survey for a stove installation, please do not hesitate to contact us on 0113 255 5622..